Horror Slashers. . HD Wallpaper and background images in the film horror club tagged: horror movies 1980s 1980 slashers friday the 13th chucky leatherface freddy krueger scream. 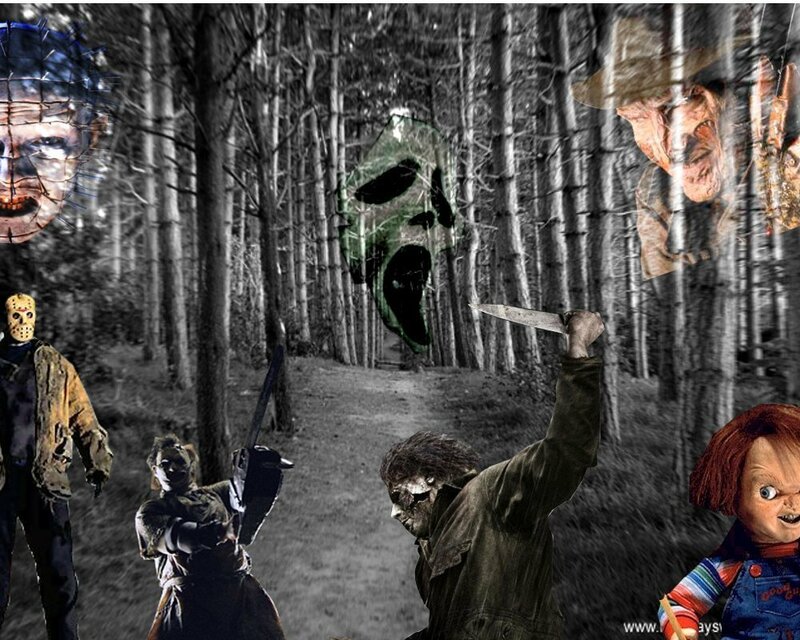 This film horror wallpaper contains air mancur. There might also be jalan, pemandangan kota, perkotaan, kota adegan, perkotaan pengaturan, tanda, poster, teks, and papan tulis. You made this? If so, bravo!